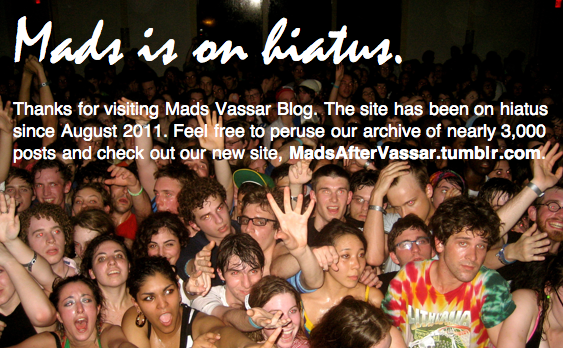 Mads Vassar Blog: 2013 Group Vanishes...What Happened? 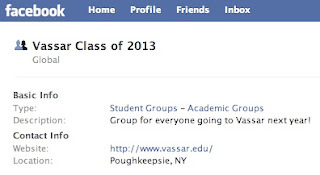 The Vassar Class of 2013 Facebook group has mysteriously vanished. Two new ones have taken its place, one with 10 members and one with 22. 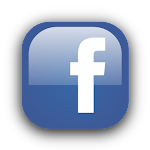 A few days ago Wesleying did a post on the phenomenon of "fake" 2013 Facebook groups. According to the post, interns from College Prowler set up groups for a number of schools. The interns have been caught, and the CEO of College Prowler issued a formal apology. We're not sure if College Prowler was behind the Vassar group. Anyone know what happened?